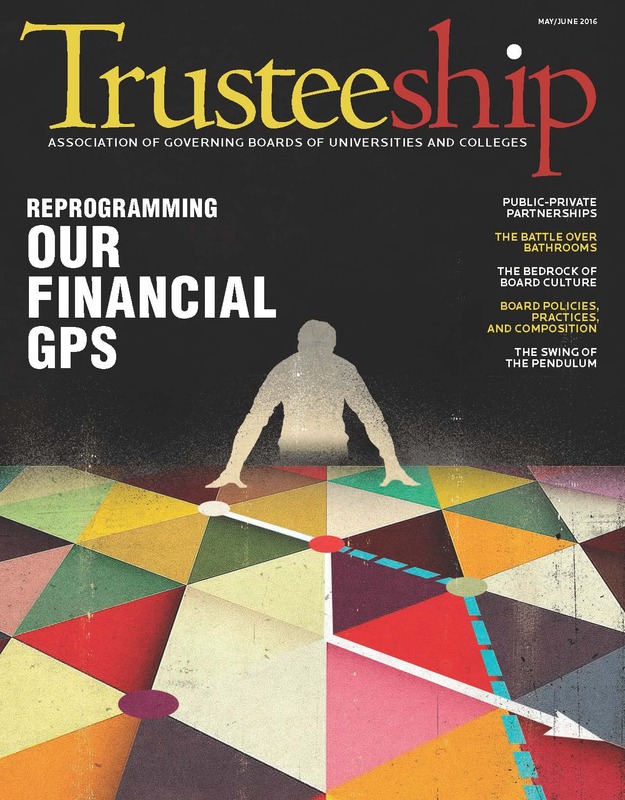 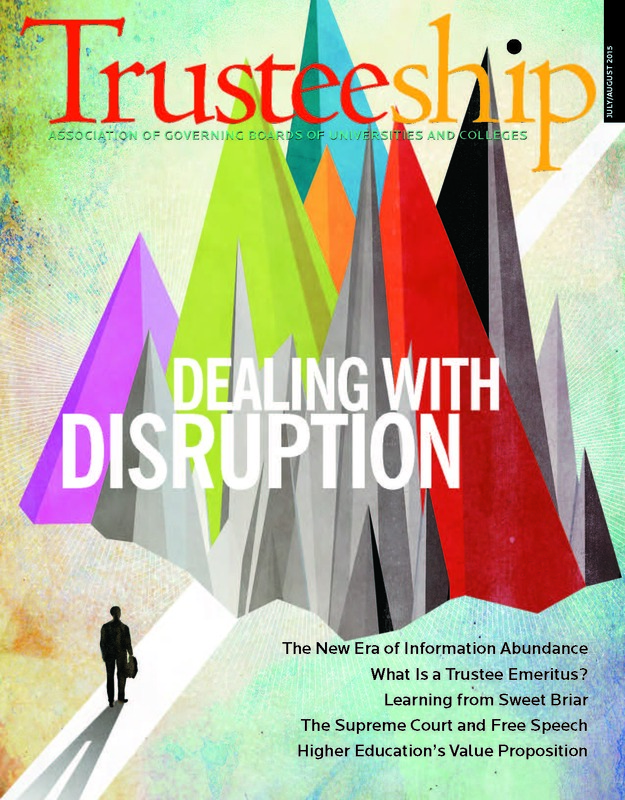 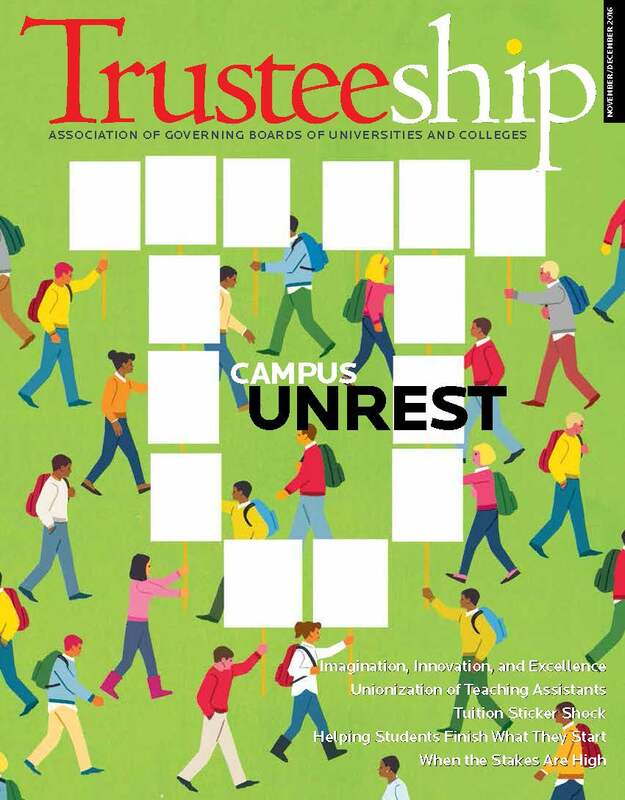 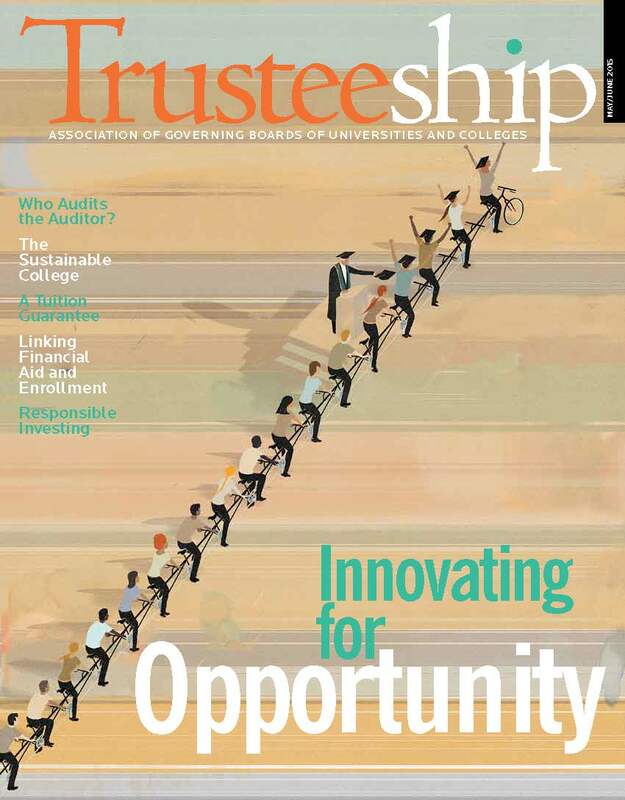 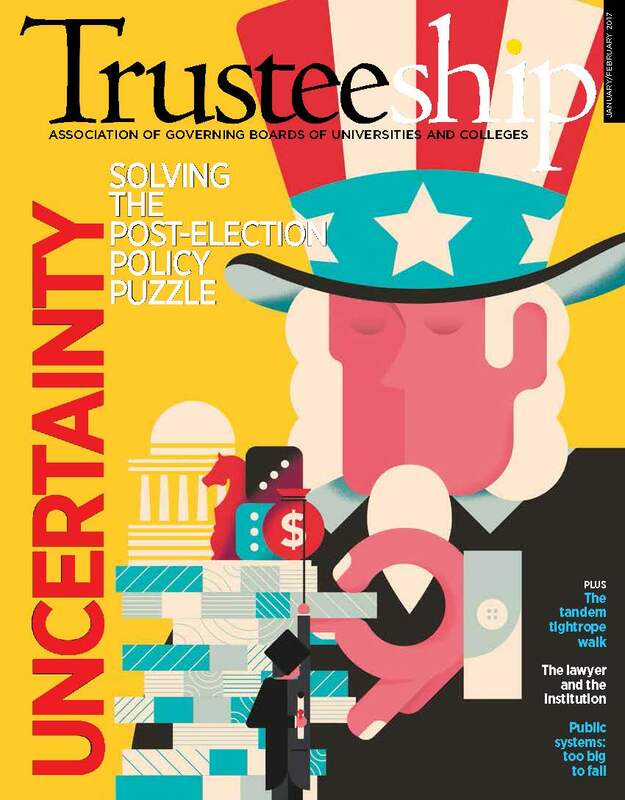 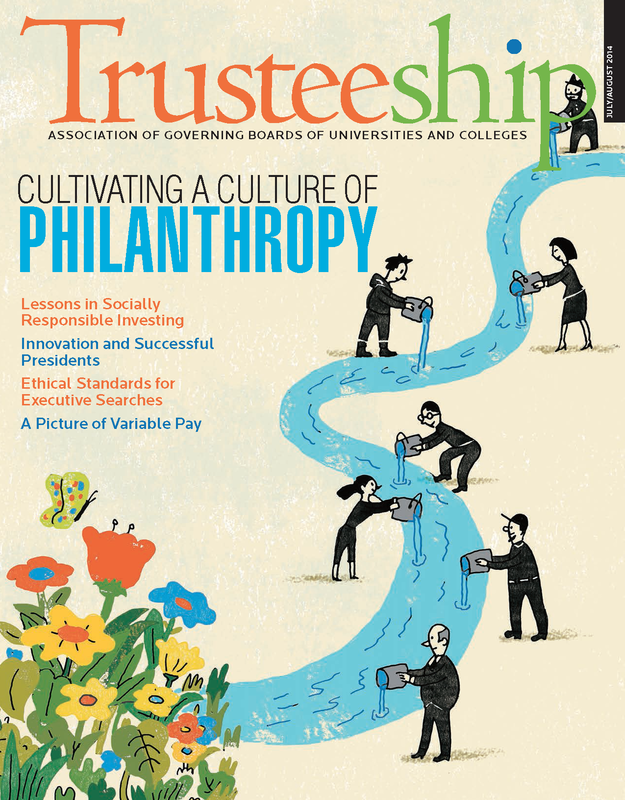 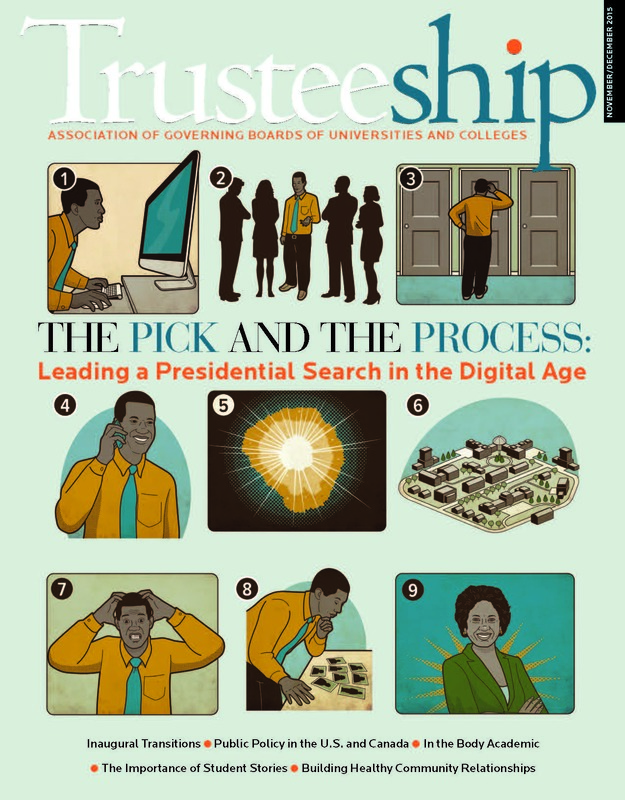 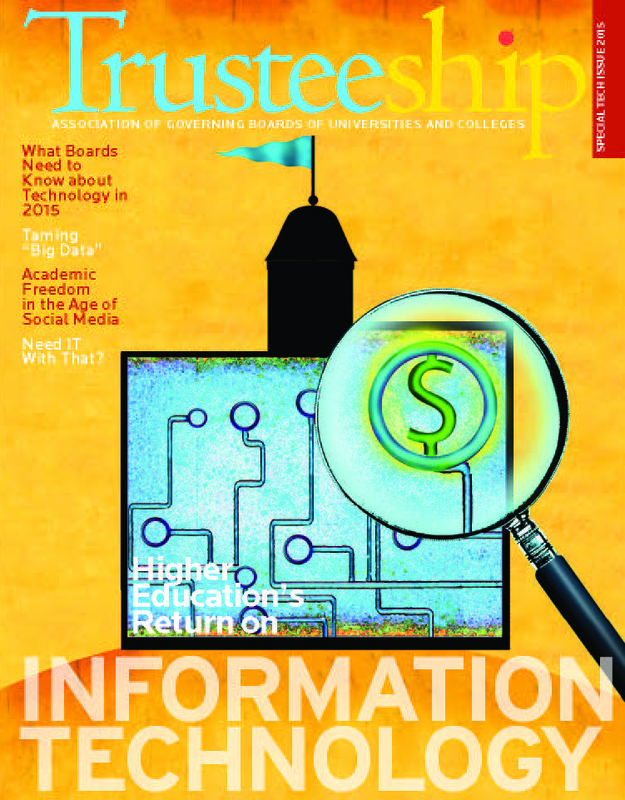 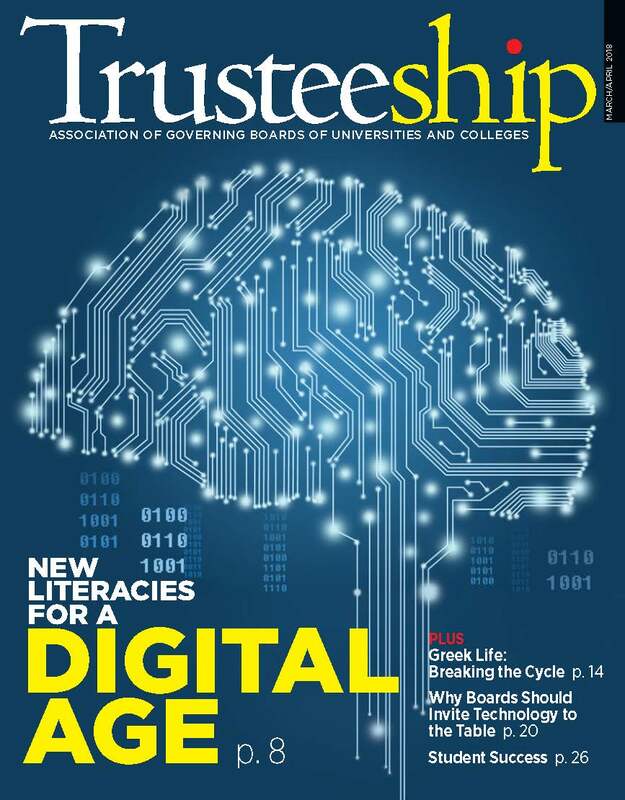 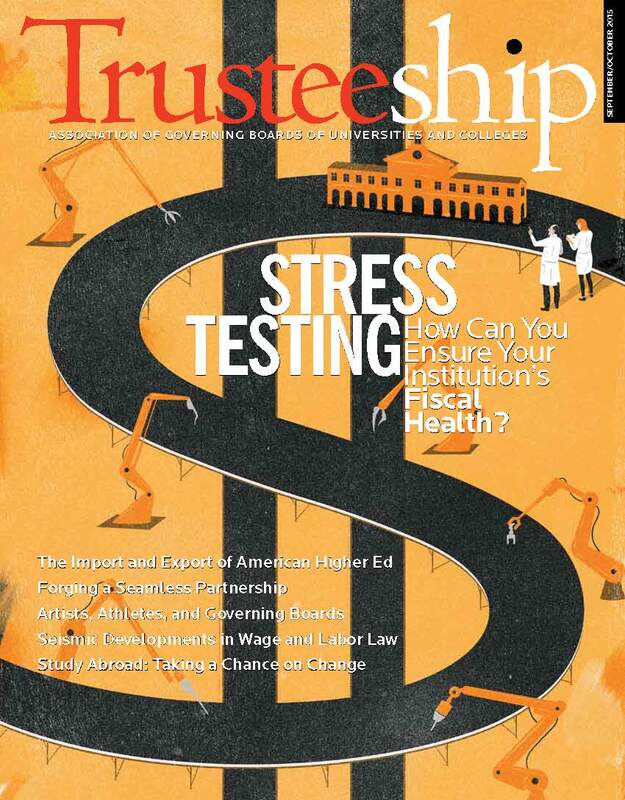 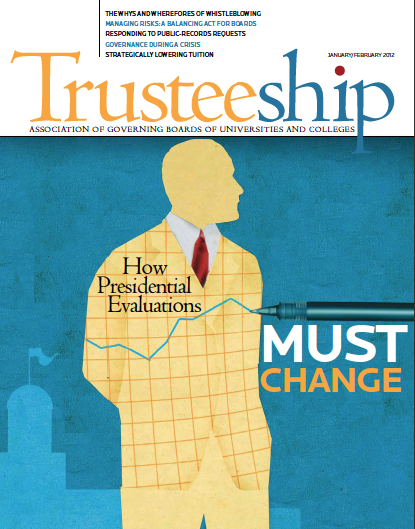 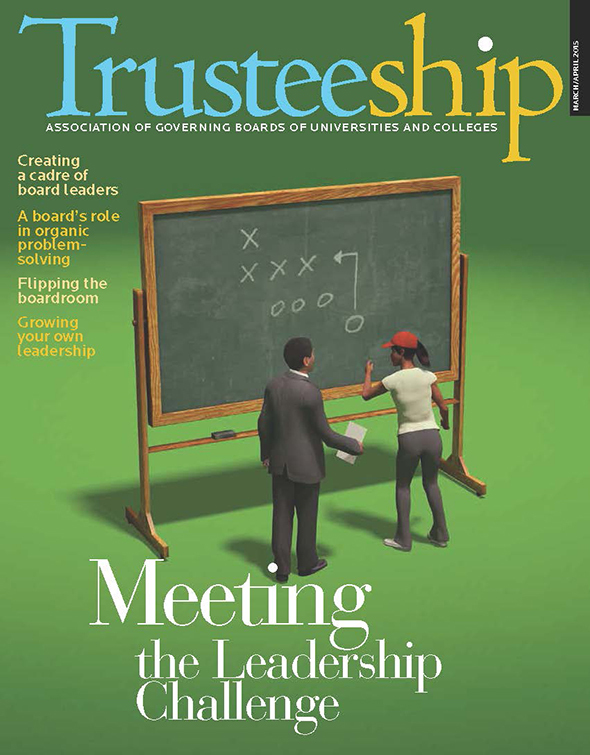 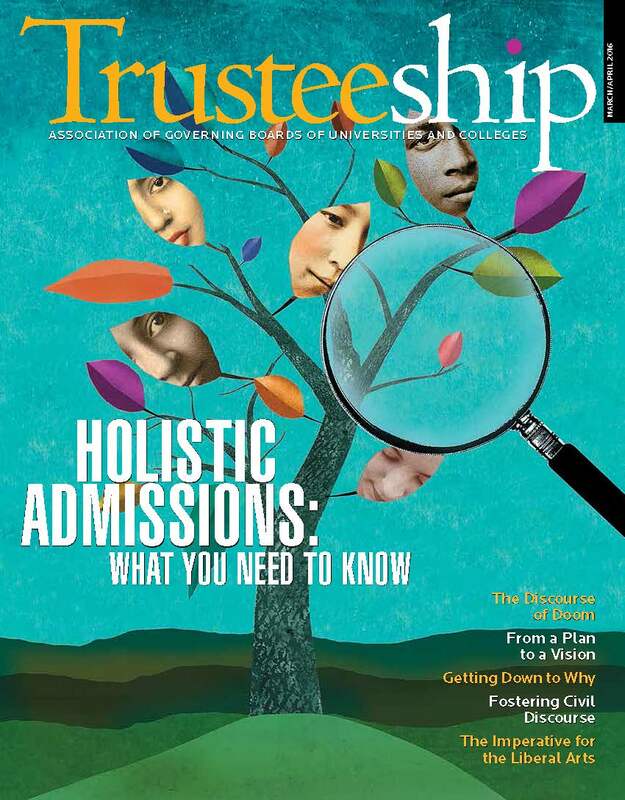 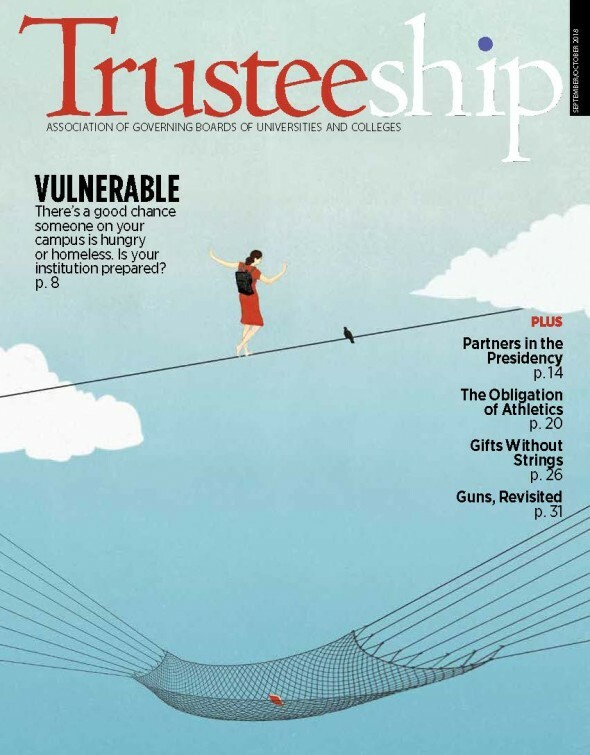 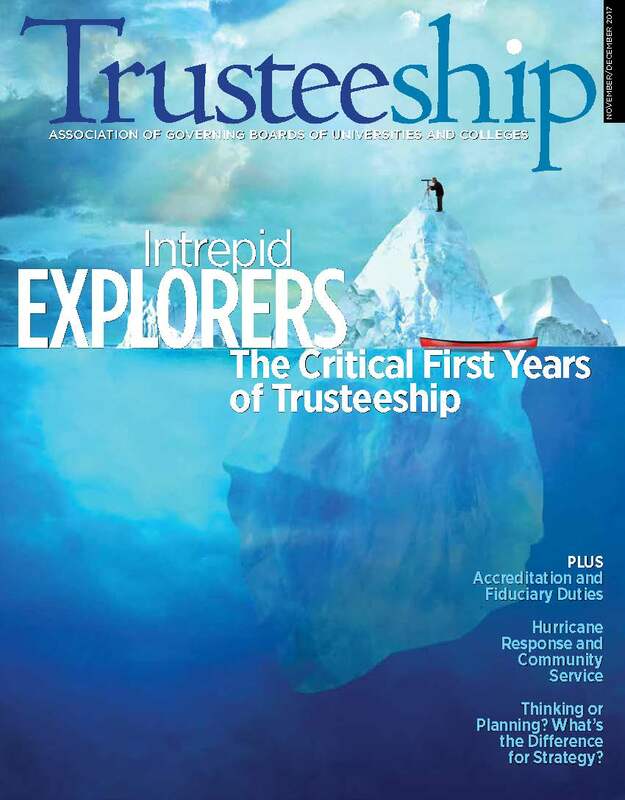 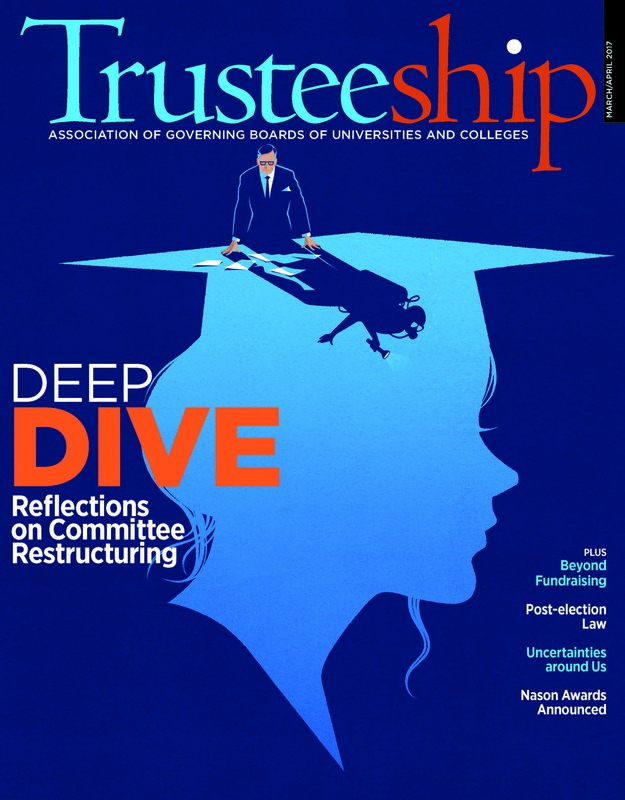 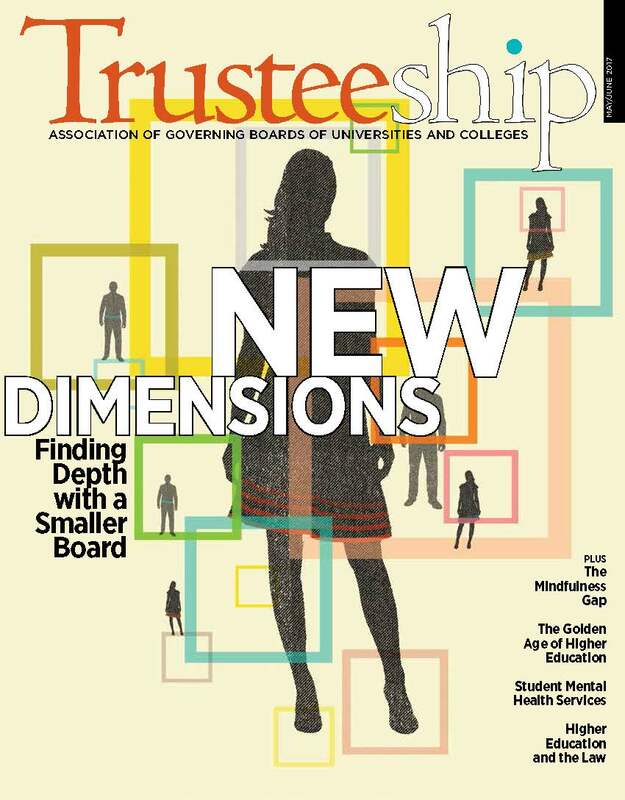 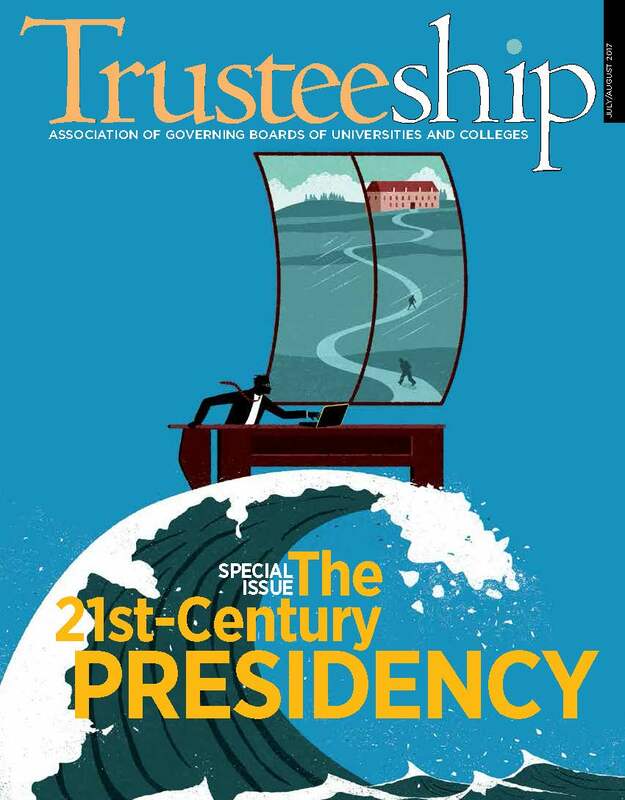 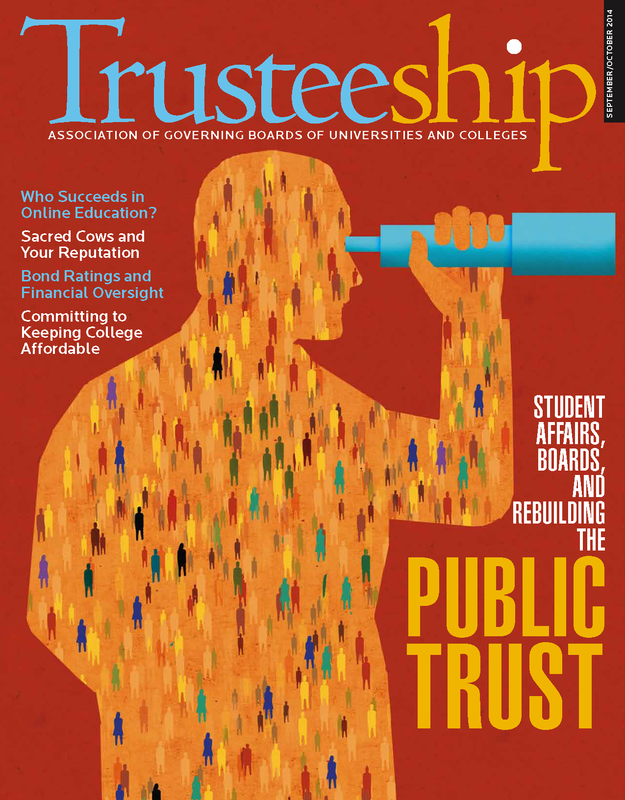 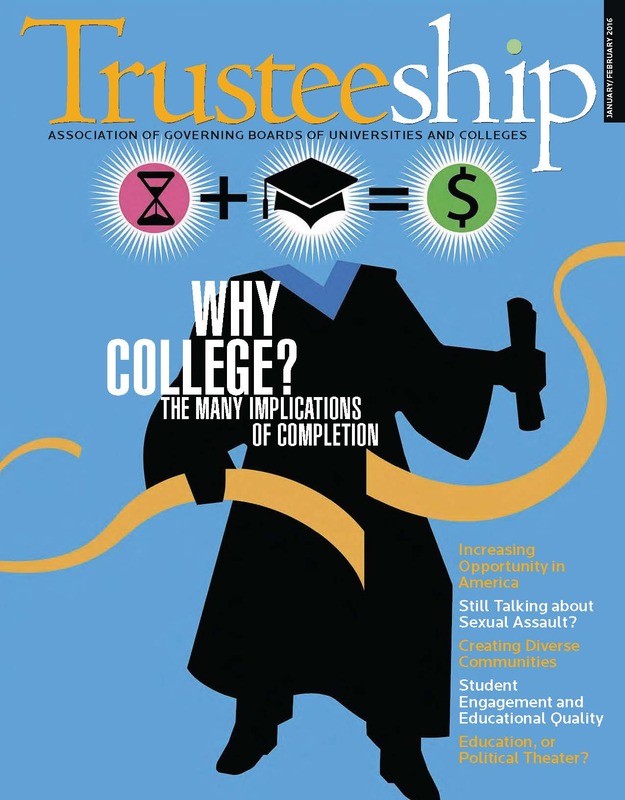 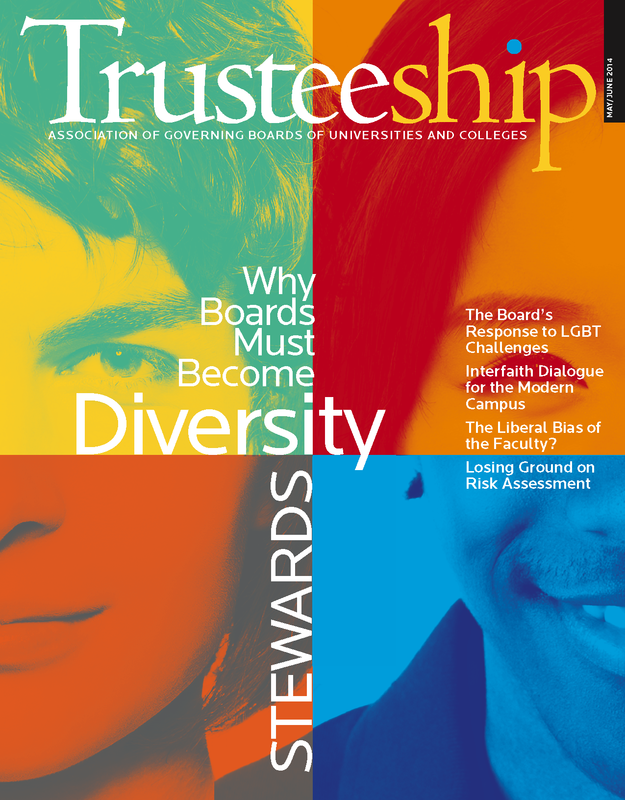 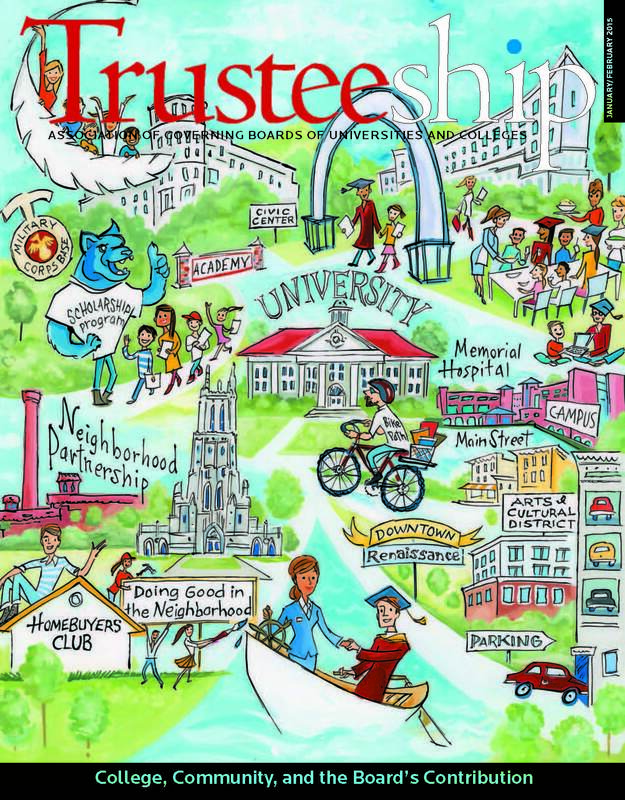 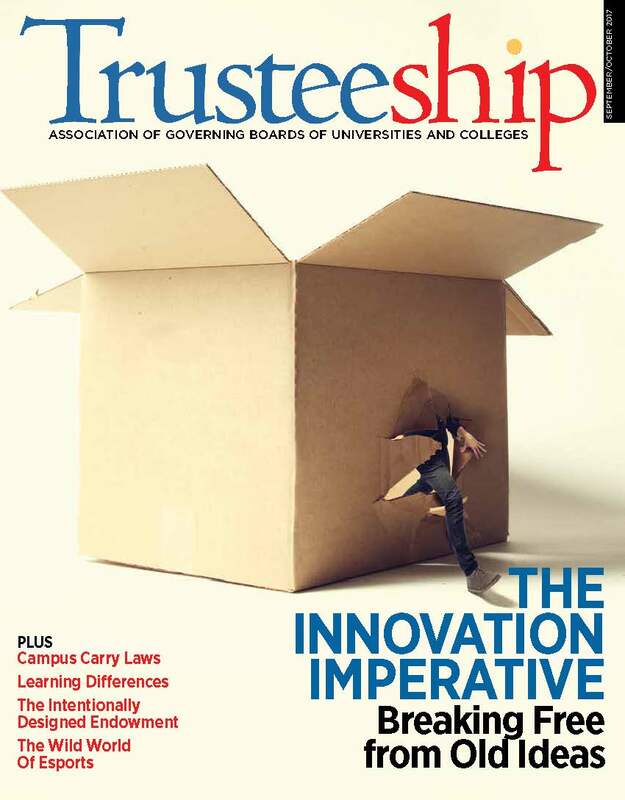 Trusteeship magazine reports trends, issues, and practices in higher education to help board members and chief executives better understand their distinctive and complementary roles and to strengthen board performance. 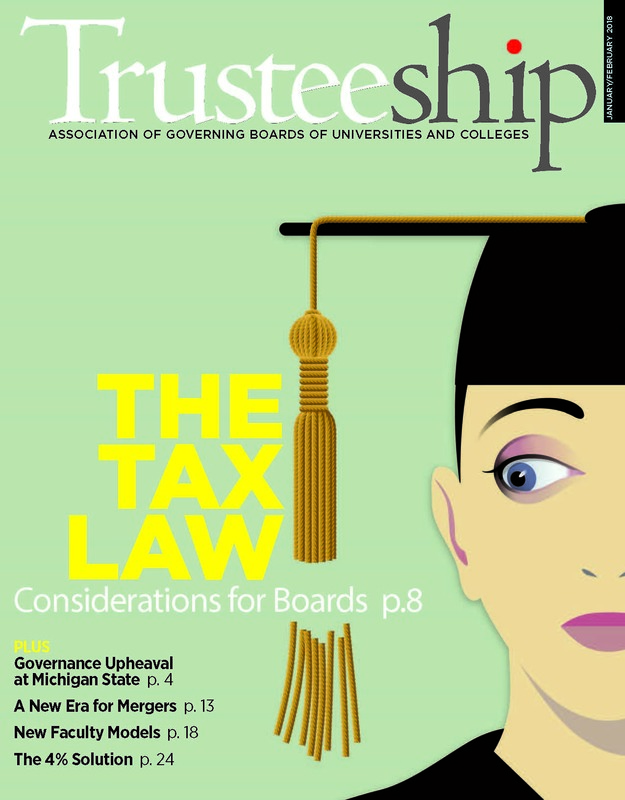 It is published bimonthly for AGB members. 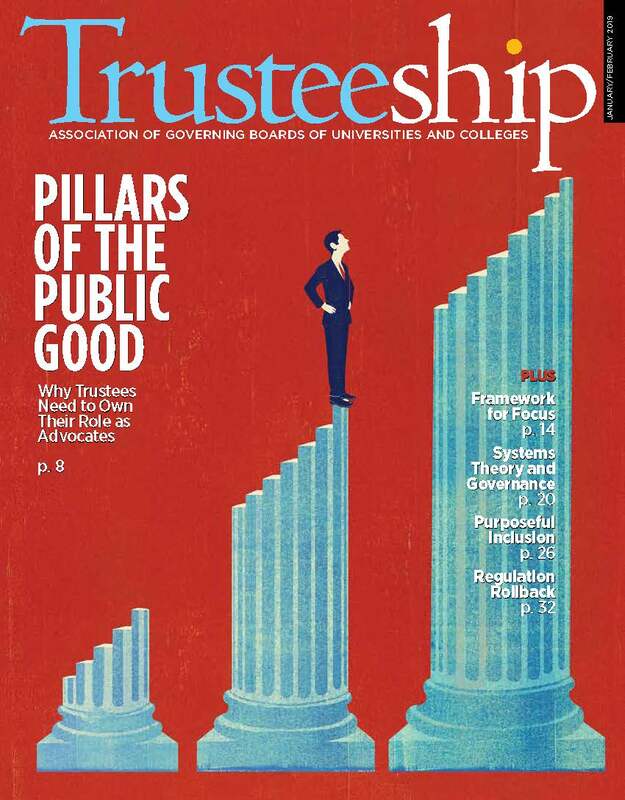 Shared governance is a fundamental, yet often misunderstood, value of American higher education…. 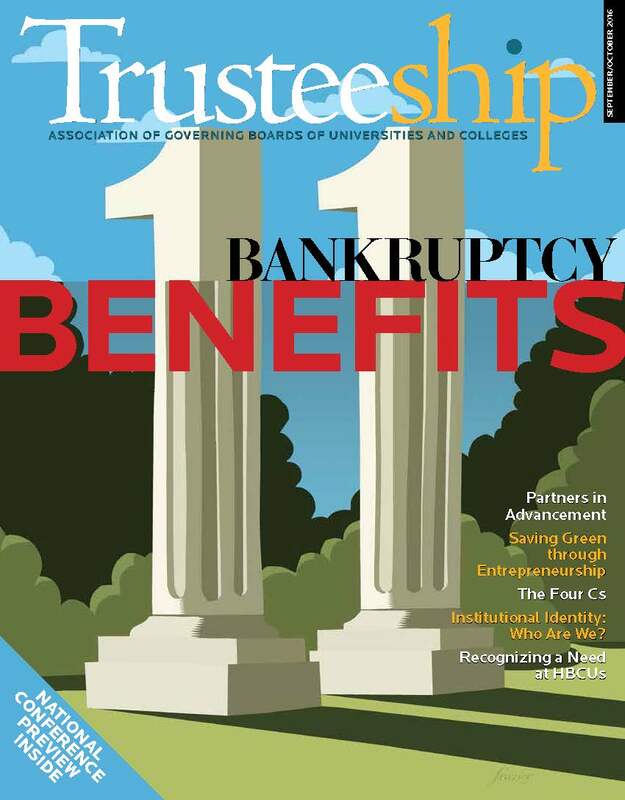 Subscriptions for individuals and libraries affiliated with member institutions are $75 per year; for individuals affiliated with non-member institutions or organizations ineligible for AGB membership, $100 per year. 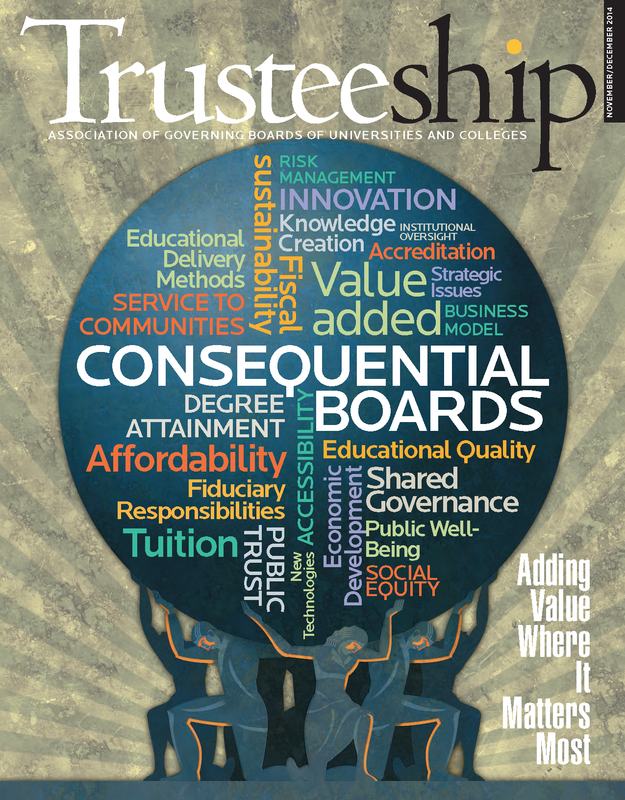 Contact concierge@agb.org for more information.